Planned orthopedic surgeries are on the rise in the U.S., according to a new Health of America report from the Blue Cross Blue Shield Association (BCBSA). The report analyzed trends in cost and quality of care for planned orthopedic surgical procedures—specifically, knee and hip replacements—over an eight-year period. In 2017, 1.4 million Blue Cross Blue Shield members under the age of 65 underwent a planned orthopedic surgery, costing about $33 billion—a 44 percent increase since 2010. 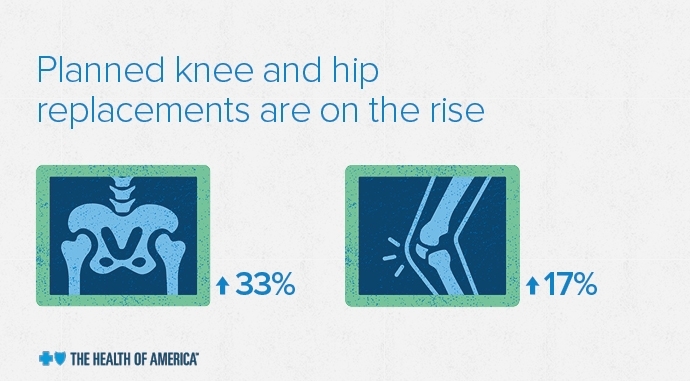 Over this span, knee replacements for Americans ages 35 to 64 increased 17 percent, while hip replacements increased 33 percent. 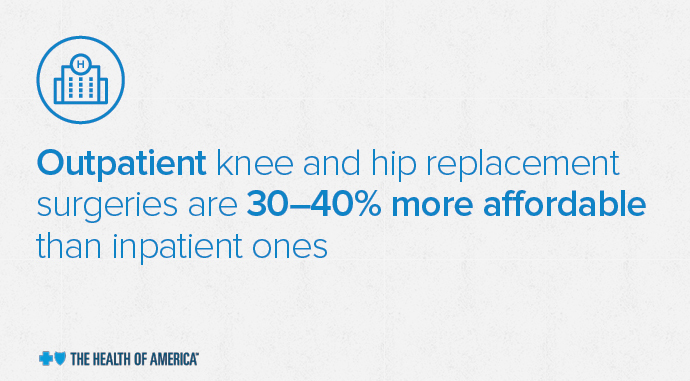 Outpatient hip and knee surgeries were found to be 30-40 percent more cost effective than inpatient surgeries. Despite this fact, only 8 percent of knee procedures and 11 percent of hip procedures were performed on an outpatient basis in 2017. Regular exercise: Only half of adults nationally meet the national physical activity guideline of 2.5 hours a week of aerobic activity. * Regular exercise keeps our muscles strong, which support our joints and relieves pressure. If you find it difficult to establish an exercise routine, consider shorter bursts of activity, such as walking during your break or lunch hour or taking the stairs. In addition to incorporating regular activity into your day, adopting a healthy diet can help you shed unwanted pounds and reduce stress on your joints. 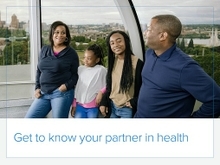 We are always looking for ways to use our data to help inform our members and address emerging issues affecting the health of our communities – such as our recent highlight on knee injuries in kids playing sports and helpful tips to prevent future injury and potential surgery.